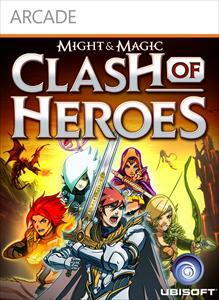 Might & Magic Clash of Heroes - I am the boss! Master the the Might and Magic of four new powerful bosses in Quick Battle and Multiplayer modes in this exciting new add-on. Play as Azexez, Count Carlyle, Ludmilla and Azh-Rafir and master their four new spells: Azexez's Demon Portal, Ludmilla's Spider Swarm, Count Carlyle's Bile Blast and Azh-Rafir's Palm Blast!